Can it get any more awesome?! 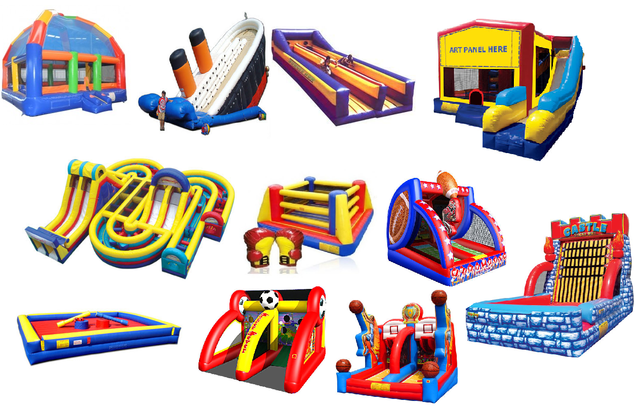 This package offers almost a dozen inflatables that will keep even the largest group occupied with hours of fun. It offers our largest dry slide and obstacle, along with sports games, a huge bounce house, a velcro sticky wall, joust challenge, boxing challenge and more.